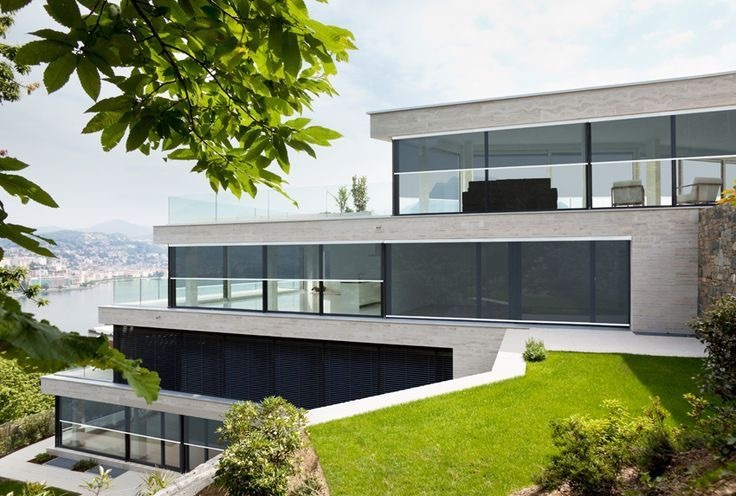 External Roller shades and screens are both decorative and functional. 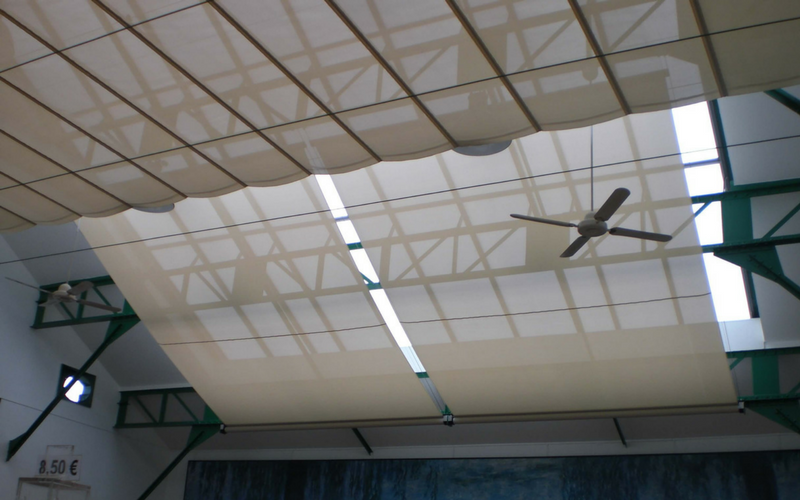 The choice of fabrics is extensive, ranging from practical blockouts to the latest innovations in light controlling sunscreens. 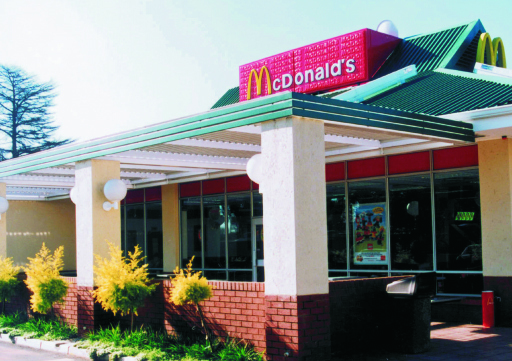 Sunscreen Roller shades allow the building occupants to enjoy the view and natural light whilst providing low light transmission, glare reduction and excellent shading and cooling values due to the screens being installed outside the building. 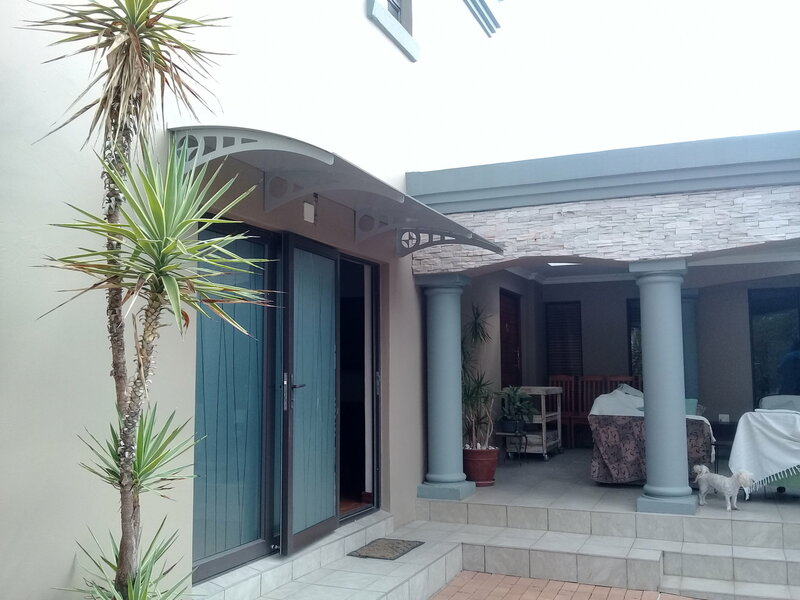 Blockout Roller shades allow the building occupants to enjoy complete room darkening and privacy settings, ideal for boardroom, audio-visual theatre and bedroom applications. All Sunscreen and Blockout Roller shades can be automated with remote control, wall switches or linked to Building Management Systems. 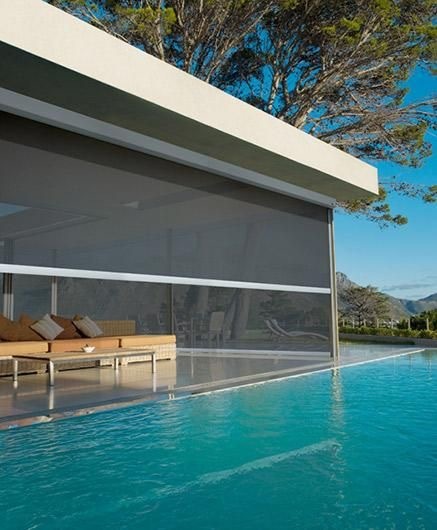 Sunlux External roller blinds offer effective solar control and enhance the appearance of a buildings facade. 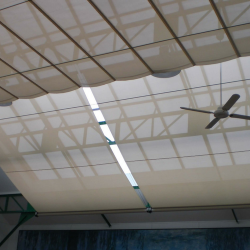 Filtering solar radiation, the fabric reduces glare and the amount of light and heat that enters the window while still allowing an outward view. Sunlux’s fabric selection is a cost-effective roller blind designed with years of experience in engineering, production and installation. 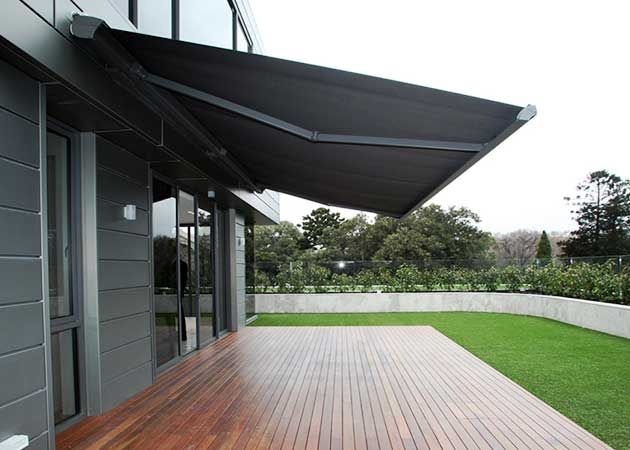 The Portofino – Retractable Awning gives you freedom of choice to add your own individual touch to your home. They come in a variety of colours for every taste and all Unis-Plains fabrics consist of classiques, neo classiques and fantaisies as well as soltis air fabrics can be used for this type of awning. 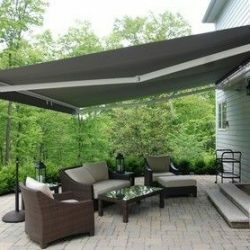 These awnings shelter you and protects your indoor and outdoor furniture from our sun, significantly cooling down your rooms. Manual or motorised systems are available. 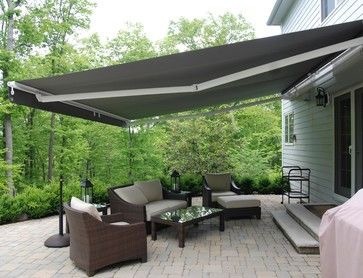 Adjustable patio awnings for commercial and residential applications are a long term investment with immediate results. With its Luxacote protective covering it will never rust, corrode, fade or even stain. 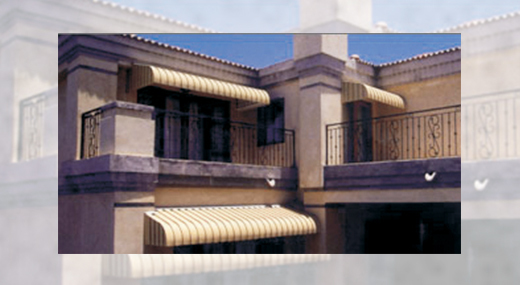 The Awnings contain aluminium, stainless steel and nylon fittings, making it smooth and easy to operate. 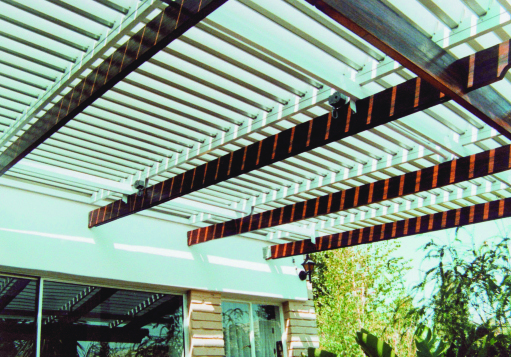 The aluminium is one of the most versatile and durable materials for building and construction. 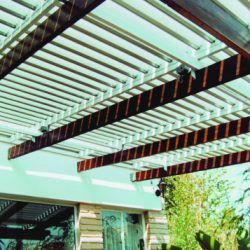 It has a high resistance to corrosion and weather and requires minimal maintenance. 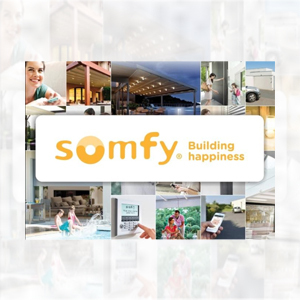 You can enjoy sunlight all year round, keeping you cool in summer and warm in winter. 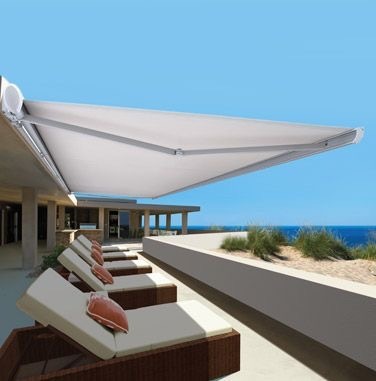 Ideal for the overhead weather protection of exposed windows, balconies and patios. A horizontal awning and is “open bladed” for see through features. Used for sunscreen purposes. 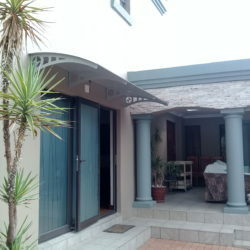 Displays a square front design without side panels that will enhance the appearance of any home. 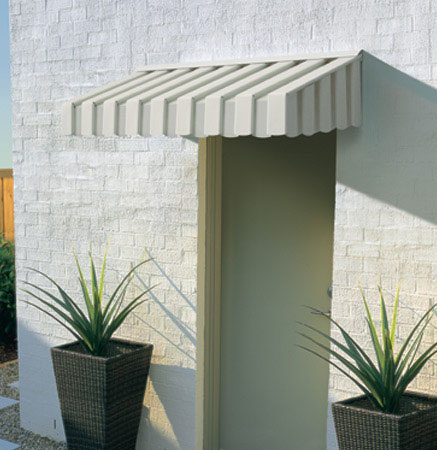 Also with the square front design, incorporates side panels for additional protection from the sun, wind and rain. 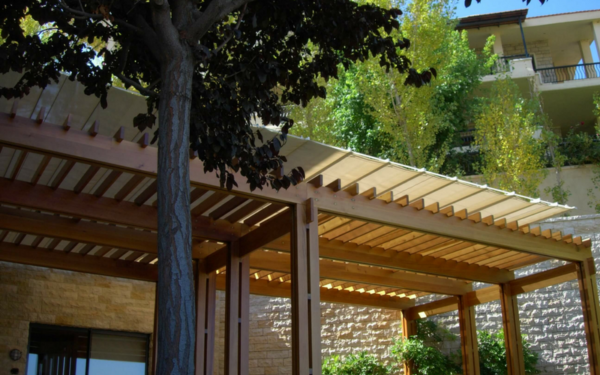 Horizontal terrace and atrium shading without the bulky supporting structure. The TESS 512 can cover up to 100 m2 with a single mechanism, leaving just slim support cables behind when retracted. Fixed to each end of the opening, no side-fixings are required. A practical solution for giant spaces where style, reliability and durability are all essential. A choice of flat or festooned fabric panels and unlimited colour finishes make it suitable for any project.